El otro día fuí a ver Snow White and The Hunstman y me encantó. Lo mejor de la película es el vestuario, el cual fue diseñado por la estadounidense Colleen Atwood, conocida por su trabajo en Memorias de una Geisha, Alicia en el País de las Maravillas y Chicago. Abajo les dejamos el video de Breath of Life, la canción de la película, a cargo de Florence and the Machine. 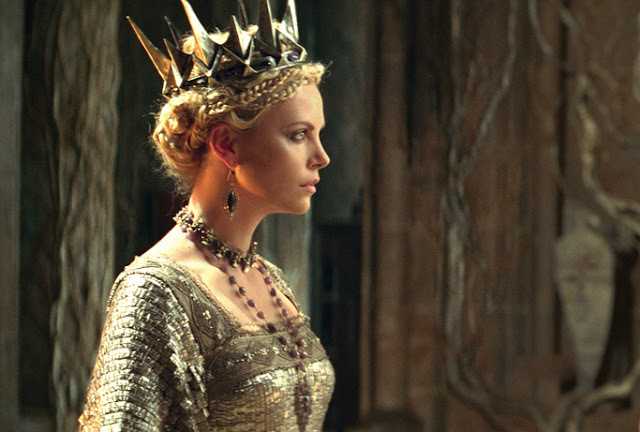 I watched Snow White and The Huntsman last week and I loved it. The costumes are definitely the best part of the film, they were designed by Colleen Atwood, who is famous for her work in Memoirs of a Geisha, Chicago and Alice in Wonderland. Below is Breath of Life, the main soundtrack song interpreted by Florence and the Machine.